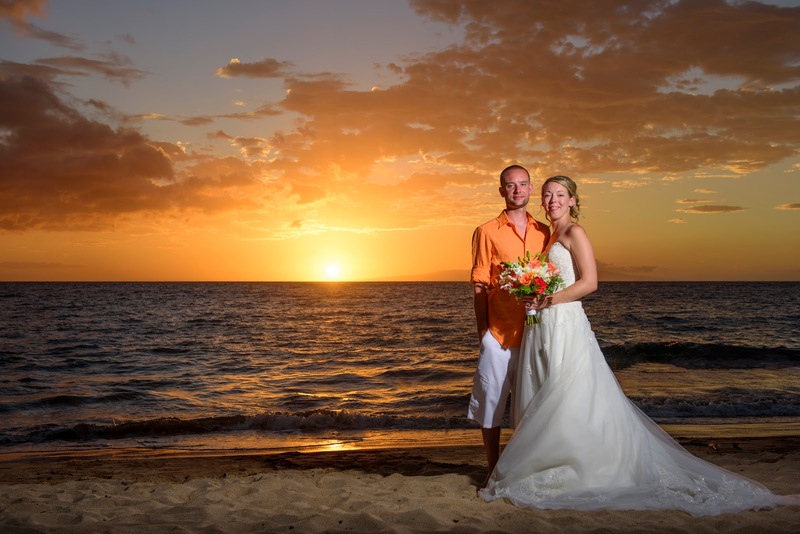 Maui offers many different options for planning your wedding. Listed below are a number of considerations you might want to check into while planning your wedding. This is not a comprehensive list but a sketchbook of sorts that will give you direction and lead you to consider other possibilities you may not have thought of. Please take your time as you go through this list and do some internet searches to answer the questions. Of course, your budget is probably the most important bit of information to have when planning your Maui wedding. 2) Location. There are 2 main resort areas on Maui: Kihei/Wailea/Makena and Lahaina/ Kaanapali/Kapalua. These areas are about a 1 hour drive away from each other so your group should attempt to stay in the same area as the wedding. Research the different areas or ask your wedding planner about the pro’s and con’s of each one. Each of these locations offer different amenities and expense. 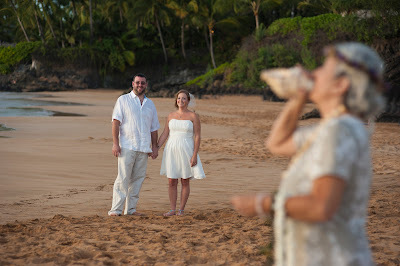 Some hotels can include a beach wedding, except Ka’anapali where beach weddings are illegal. 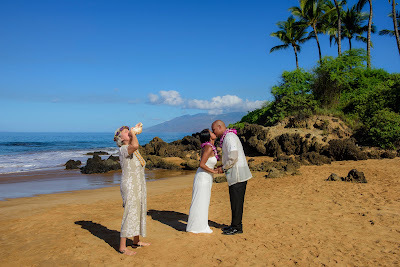 So if you want a resort wedding but a beach ceremony you will have to choose the Wailea resort area. 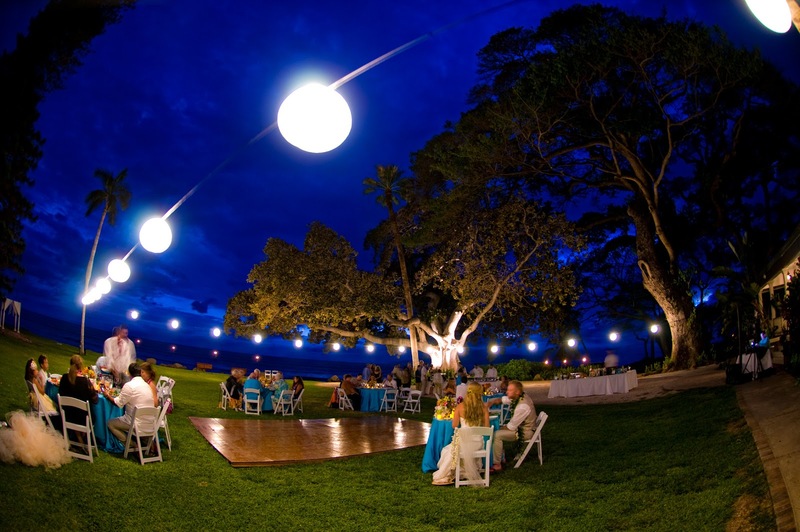 A Semi Private venue is like a golf club or restaurant that has a lawn overlooking the ocean and a restaurant on property. This is a reasonably priced way to get amenities you can’t have on a beach, like chairs and arches, while not paying the high price of the resort or private estate. There’s also plenty of parking and everyone in your party stays in the same location for the wedding and reception. 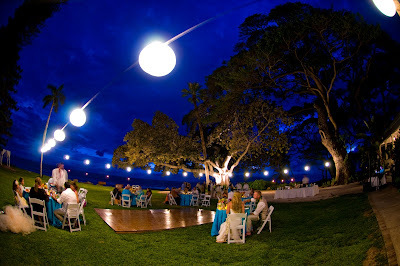 Semi Private venues are probably the most popular way to get Maui’d. Arch (Huppa), music, flower petal aisle, bouquet, bridesmaid bouquet, limousine, flower girl basket, ring pillow, Hula dancers, chairs, doves, cake, flower circle, in room hair and makeup etc. 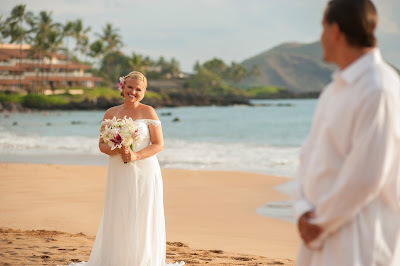 Again, your Maui wedding planner is the best source for these amenities. Ask her which services you are allowed to have based on the venue you’ve chosen. For instance, you can’t have huppa’s or chairs on the beach but you can have them at semi-private and private estate weddings. 5) Photography: By far the most important part of the wedding is the memories you will cherish in the form of professional imagery. Maui is a difficult place to shoot. The light can be harsh and sunset happens quickly. Timing and experience with the elements of a wedding ceremony are paramount for a professional product. 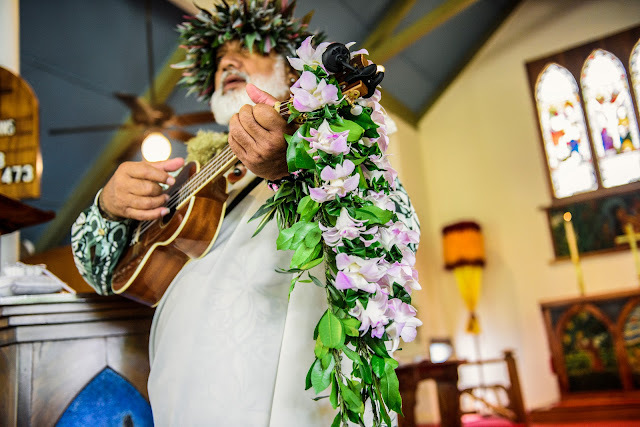 Even though your friend from Wisconsin shoots weddings, they will not be prepared for the challenges of an outdoor Maui wedding ceremony. Check the website of your planner and look for images that speak to you. Determine the importance of imagery to you and your fiance. After the cake is eaten, the dress has been stored and the tan fades, all you will have left to remember your Maui wedding is the imagery. Make sure you choose wisely. Cost doesn’t seem so important 10 years down the line. Maui Wedding Photography is an investment and photographers are not interchangeable like toaster ovens at K-mart or Wal-Mart. 6) Determine your risk capacity. Maui is a generally dry island. 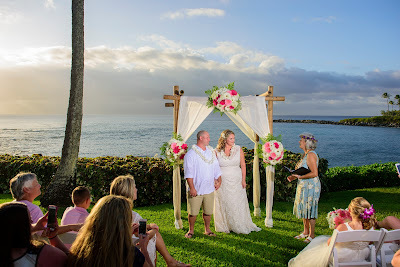 With the exception of Hana and Haiku, the resort areas, where the vast majority of weddings are performed, have rainfall amount equal to the southwestern US. these are typically dry areas that usually experience passing showers as opposed to long term downpours. If you are worried about rain, choose a semi private venue that has a covered back up. Beach weddings DO NOT provide rain back up. While it is infrequent and 99% of all our weddings go off without a hitch, you must gauge your own ability to deal with weather. It is always windy here, so updo’s are a requirement and long hair will get in your face during the ceremony. Do not check your weather app everyday! It will drive you crazy and will almost always be inaccurate. This is a short list. There’s lot’s of other things to consider when planning a Maui wedding so be sure to spend a little time going over these things and then ask your professional Maui Wedding Planner what she thinks about your ideas.